A man was left with burns to his legs in a car blaze linked to an arson probe. 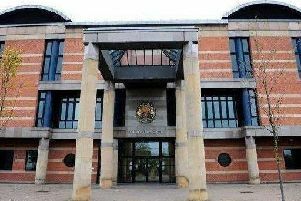 The 24-year-old was admitted to James Cook University Hospital in Middlesbrough following the incident in York Road, Peterlee. Inquires are continuing and anyone with information about this incident is urged to contact police. Detectives have launched an investigation when firefighters and police were called to the street after calls reporting two men had been seen pushing a silver-coloured Renault Clio which was alight. Officers say the men then ran off. Subsequently, a the man was taken to hospital for treatment for burns and has since been released. A spokeswoman for Durham Constabulary said: “Three local men, aged 21, 24 and 25 have been arrested on suspicion of conspiracy to commit arson and have been bailed pending further inquiries. A crew of firefighters were called to the street at 6.20pm on Friday to put out a small vehicle fire.